New member here! (been stalking this forum for the past 2 months) My name is Zane, and after watching some of Term 1 and 2 sessions I've decided its time to upload some of anatomy sketches that I've been doing. 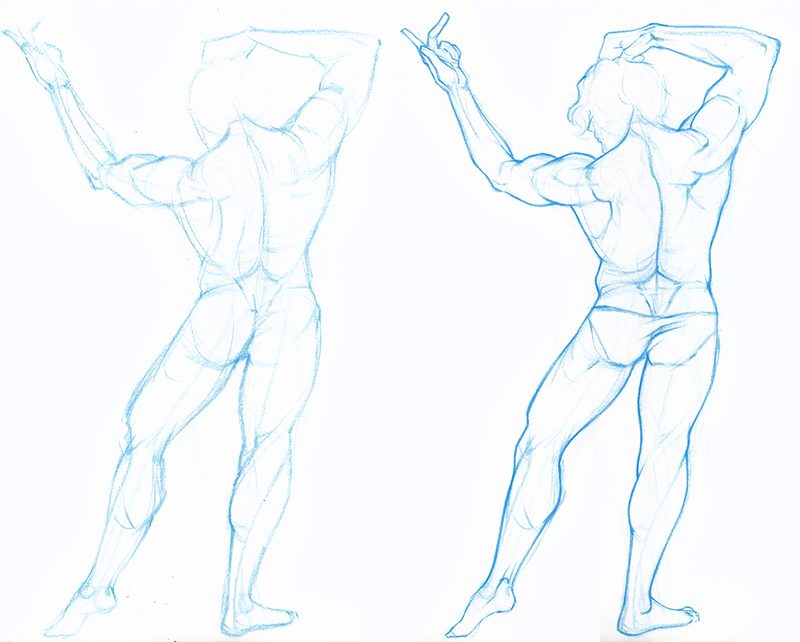 Firstly I want to address the fact the work I've done here isn't necessarily accurate to the assignments but I've kept many of the same principles that were covered about anatomy by Marc in mind. I would consider myself to be in the intermediate level when in comes to anatomy, as I have been studying for while before I decided to buy the Art School Program. These sketches was done to show the anatomy in simple shapes, as it was done in Term 1 lessons. 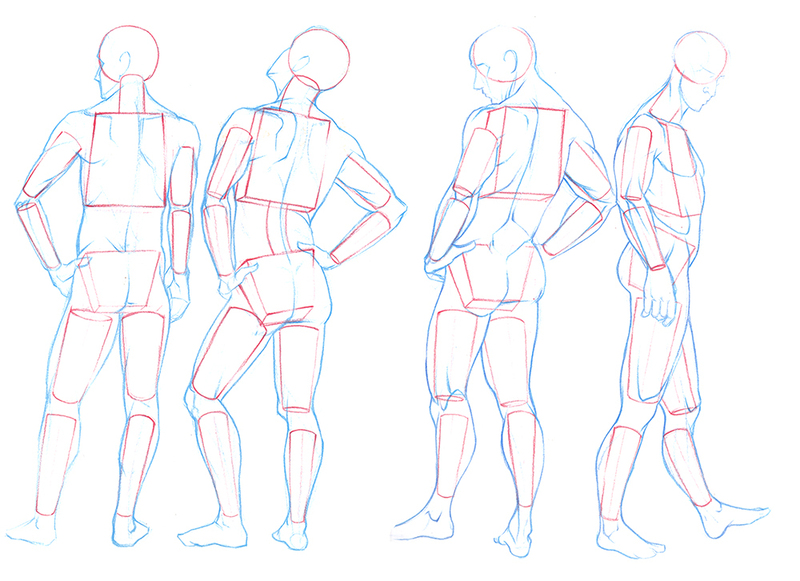 I have never attempted to do that before with as beforehand I primarily stuck to the Gesture, Line of Action and Bean method of drawing anatomy. 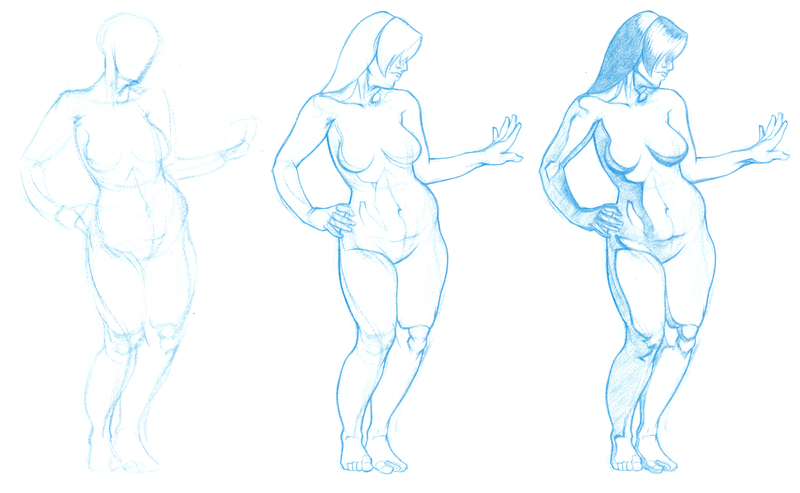 One drawback I noticed is that anatomy does stiffen a bit when I drew shapes and not the overall gesture. I also referred to ModernDayJames on Youtube about simplifying the figure. 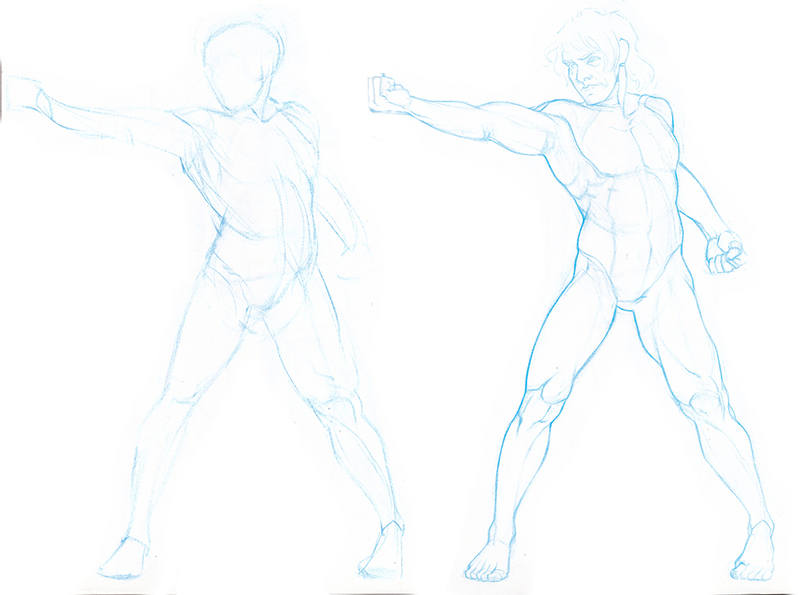 Once more I reverted back my way of sketching by starting with a line of action and gesture and then creating form. I think I prefer this way of sketching. I hope to upload more about anatomy and show sketches on a more detail manner. I plan on doing more regarding specific parts of the skeletal structure and muscles as I've recently watched Rey Busto's class on anatomy on NewMastersAcademy.com, from where I got the reference pictures for these sketches. Alongside that I've been reading Atlas of Human Anatomy by Peck, Figure Drawing by Michael Hampton and Force Dynamic Life Drawing by Mike D Mattesi. I hope anyone who sees this post has some additional input regarding resources, especially places where I can get more references. One final question, should I start and Art Blog or keep updating anatomy sketches here? 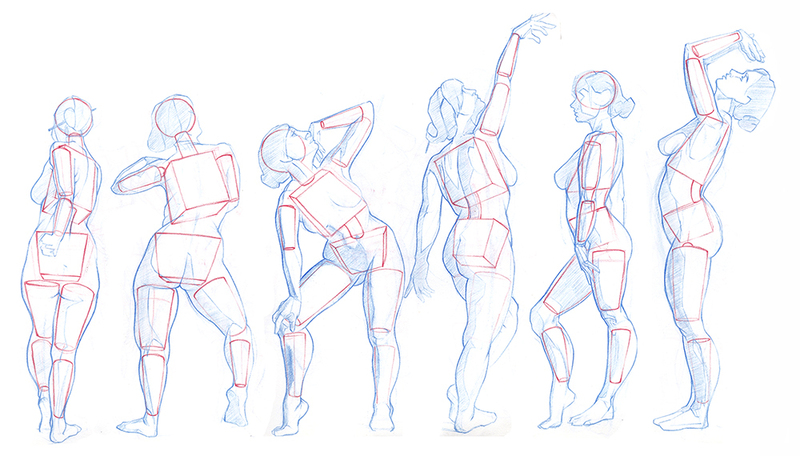 I ended up using a lot of books in addition to the Art School anatomy classes especially Gottfried Bammes "Complete Guide to Life Drawing" it has break downs in there of different parts of the body and takes you from basic construction through to full renders. I find it useful. It looks like you have a really good idea of what your doing anyway - I go with the thing of while Art School offers a way to do things, there doesn't seem to be a set method for the best results, do what works for you! Either way really like the work, Keep it up! Its been way too long since I've updated this post. That being said, here's some of sketches I've done since. From now on I'm going follow a chronological order to keep tabs on my progress and will probably re upload these on the art blog section, once I figure out a study plan. Overall I don't have issues with this sketch, however looking at the reference, the torso isn't leaning to the side as much as it should. This I feel is a mistake made from not being as observant in the early gesture stage and moving onto the anatomical volumes. Drawing female figures does have it's unique challenges compared to the male figure. 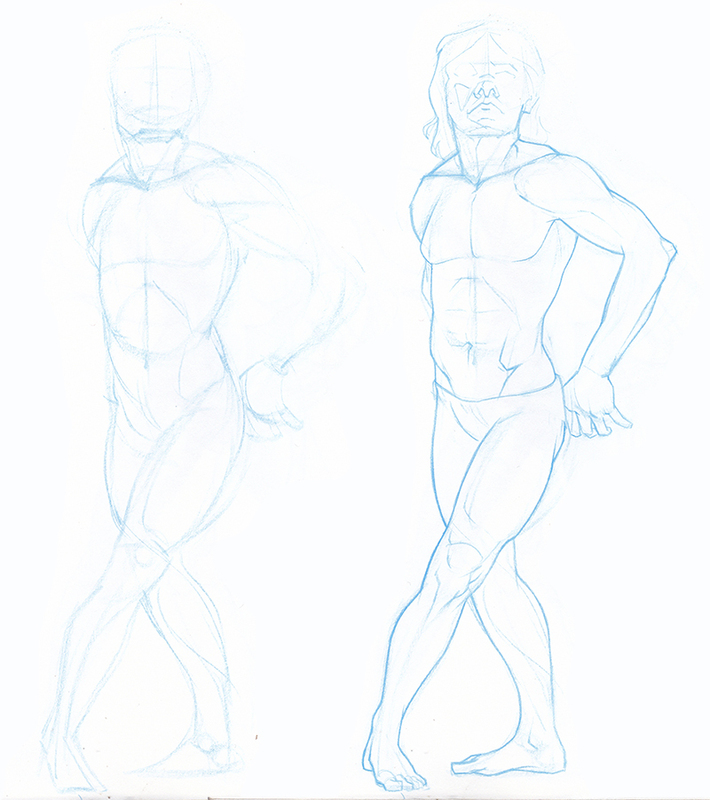 With the male figure the challenge for me is to try to make the pose as organic as possible all the while trying to avoid making the gesture too stiff, as evident from the above sketch. With the female figure, its more about the rhythm of the natural curves and sometimes that I find that to more challenging on skinnier figures [this particular model was more on the curvier side, which does make it a bit easier]. However there are obvious issues of proportion with the head and arms in contrast to the body [definitely a reoccurring error in the following drawings]. There was some serious flaws with this sketch. A lot of it falls on the fact I may have not spent a lot of time in the early stages. The head is way out of proportion from the body, so is the arm. The forearm is longer than it should be and the point at which the arm bends, is slightly lower in the reference picture. The head is slightly tilted back in the reference picture and that isn't visually defined enough in the sketch. Hopefully I learned to avoid those mistakes and be patient with the early stages [Sike! I didn't]. I picked this reference to draw next specifically for the fact it is similar to the sketches I did before. There's definitely improvement on the proportions, that said I've noticed the forearm on the left side is slightly longer than it should be given the slight foreshortening. Again back to the female reference. With this one the most difficult part was the hands lying on top of the other. It took me a while to wrap my head around it to get it to seem visually and anatomically correct. Everything else turned out surprisingly well except for the shoulder which is closer to the face should be drawn a little bit higher to show the shoulder girdle coming closer to the body. I think for now, six pictures will be enough. I have a couple more that I have drawn in the past few days that I will upload in a couple of days once I figure out my study plan. I'm still not sure if updating an existing post is better for engagement as opposed to creating a new post. Whoever reads this, do clarify that for me. I do plan on doing individual anatomy parts in more detail, as I think that would be learn the functions and limitations a lot faster. Hope I get some good feedback! Hi @spyronite I only have a couple of crits because the vast majority of your work is very very good - hopefully these will be useful for you. 1 st piece of crit is on the figures drawn on the 9th Feb. Looking at the shoulder there doesn't seem to be a separation between the pectoral muscle and the deltoids. This could be my monitor (I'm at work atm) but from what I can see this looks like you have connected both muscles when on a pose like this there would be a distinct shift in surface. Also looking at the opposite shoulder it looks like you have extended the clavicle to sit on top of the deltoid, when the it should be the deltoid sitting on top of the clavicle (I would do a paint over but I am at work). Secondly, on the figures drawn on the 24th Feb, I think your proportions between the top and bottom look slightly off - the bottom half could be slightly extended. Again this could very well be down to my monitor at work (a very odd aspect ratio and sometimes squashes images). Other than that I think you have a really great ability of capturing gesture - i think you just need to study up on few bits of anatomy (and maybe proportion - but dont take my word on that). I will have a another look when I get home and if i get time might doa pint over to show what I mean about the shoulders. Most people start a thread for an entire term - rather than per class. Keep it up! Seriously jelous of these studies, they're super good! for the sketch on the 24th, looking back at the reference, the model has longer feet than most I'd say. That may be the reason. My knowledge of the anatomy I'd say is good enough that I recognize muscle separation and placement, sometimes I do get confused as to where the origin point is when there are a couple of muscles overlapping each other. 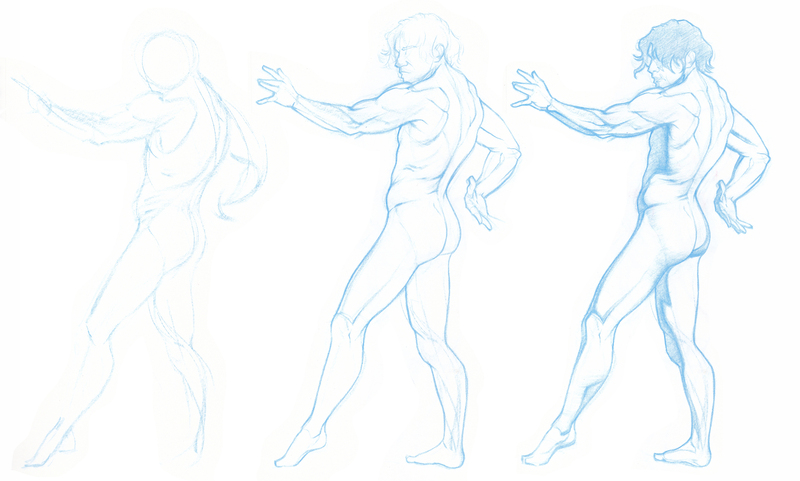 I'm thinking I should go back to studying anatomy separately. I started these sketches as part of exercises regarding the first chapter of Force Dynamic Life by Micheal Matessi (that's why you're seeing a gesture stage, I'm to learn how the gesture force moves as taught in the book), and also because I wasn't good at drawing anatomy with correct proportion. I'm a couple pages away from completing a sketchbook for the first time, so I'll probably do a few more before going back to separate anatomy. Thank you so much for the feedback, really appreciate you coming back again with an in depth look! Maybe I should rename this thread to "Art School: Anatomy"